When it’s kurma you are talking about, you are bound to come across quite a variety. And specially when you decide it’s a side dish that you could serve Rotis and Idlis alike, you are bound to be taken in right. This is what happened when I had decided to make the Sannas for Indian Cooking Challenge. 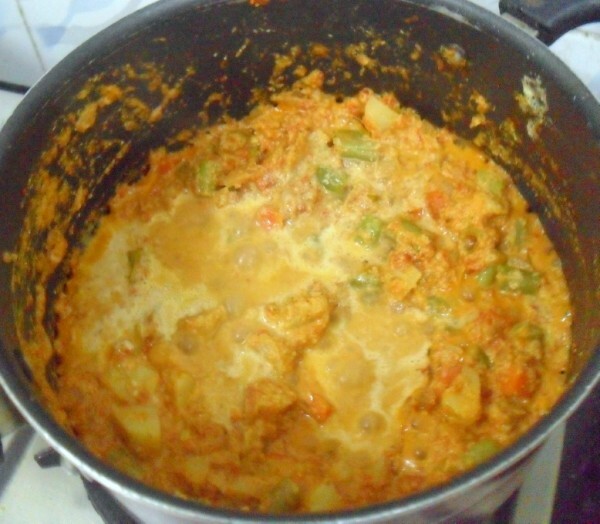 I wanted to make a kurma to serve them with. I basically remembered that Sannas were served with a rich kurma that good us hooked to it. However the combination was more a hit with what I served than what was originally served at the restaurant some months ago. 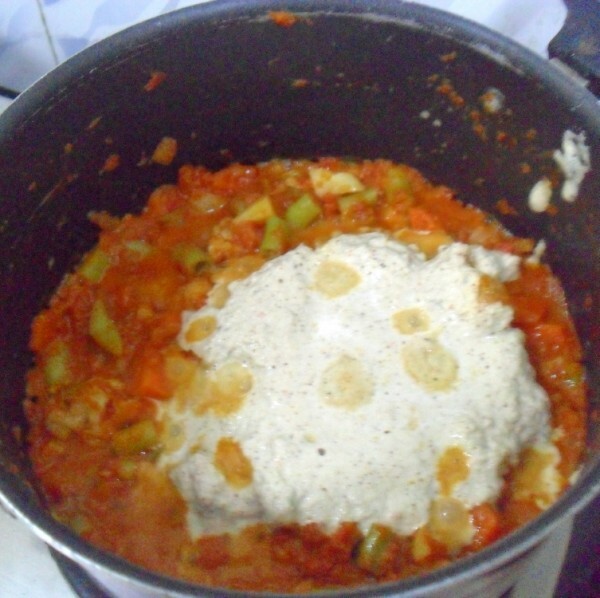 I made these Sannas for dinner and along with those this delicious Kurma, that was very rich and creamy. And it was such a simple dish in the end. Grind everything to a smooth paste with water. 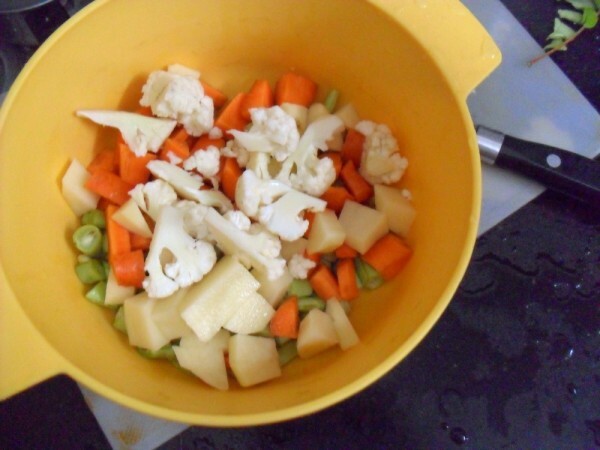 Wash and chop the vegetables. MW for 10 mins. Keep it aside. 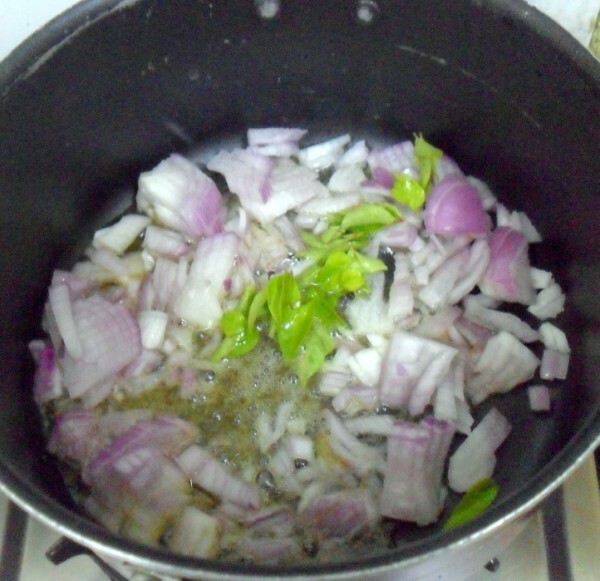 Heat a non stick pan, saute the onions along with curry leaves till the onions start turning colour. 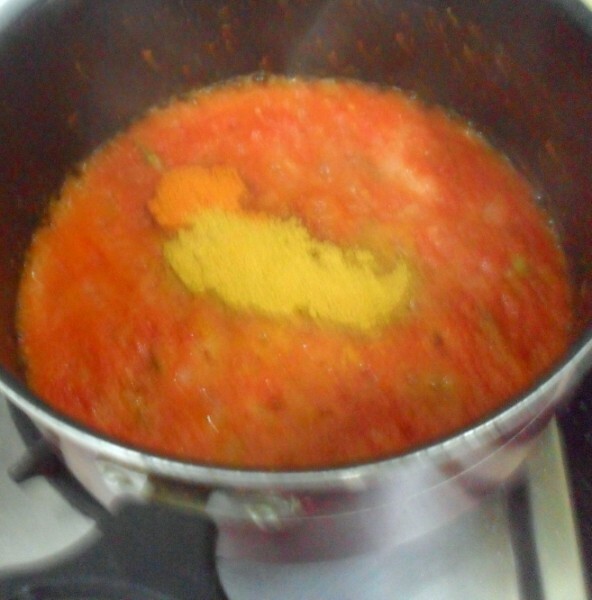 Then add the tomato puree. Add the chili powder, coriander powder, turmeric powder. Cook till the spices are cooked and oil comes out. Now drain the water from the vegetables. 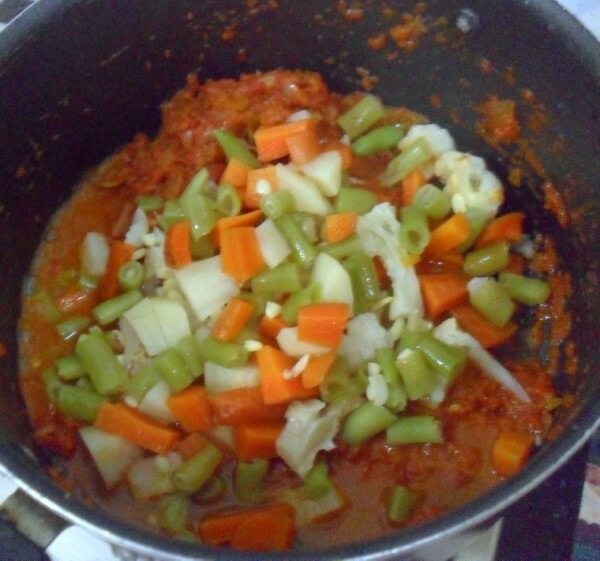 Just add the vegetables, save the water for last. 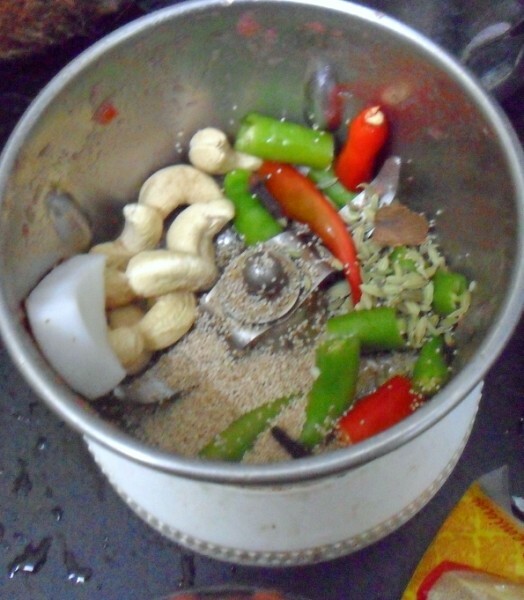 Once you are done cooking for 5 mins, add the ground masala and cook well. 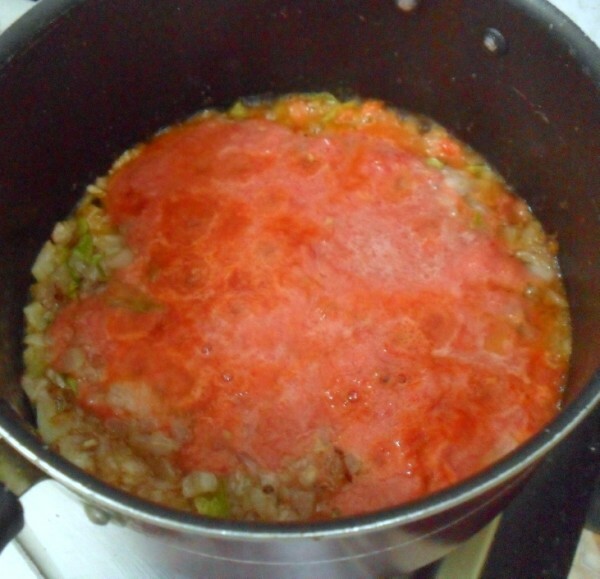 Now add the water from the boiled vegetables and more depending on how much gravy you want. This kurma turned out better than what I had thought. 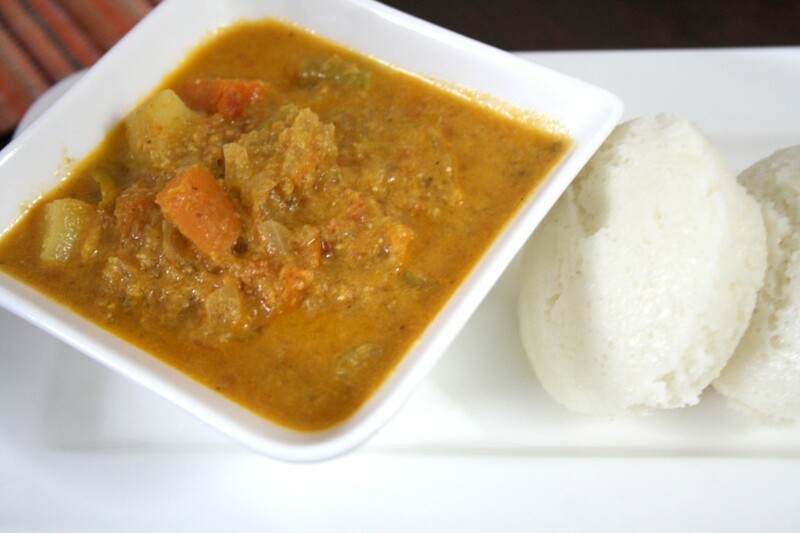 It serves with with rotis and dosa/idli as well. This joins the Weekend Cooking I do with Vaishali and Champa. Check out their posts and enjoy! Hi valli it was so nice to meet u loved our meeting. Not only ur dish are wonderful,you are too so happy to meet a wonderful lady like you. Nice khurma just like restaurant. 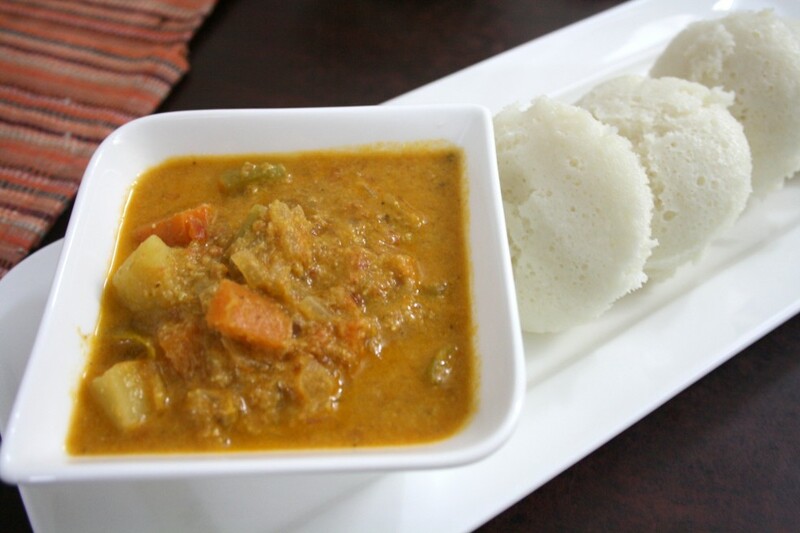 A yummy & tasty side dish for idlis & rotis alike !